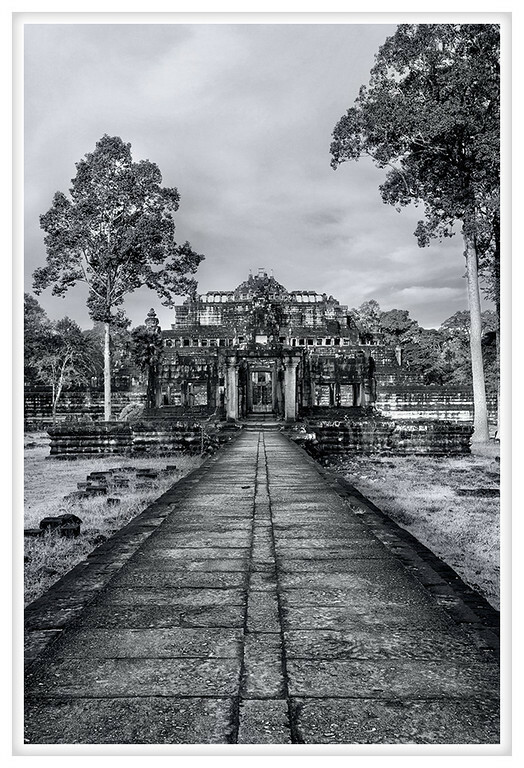 This is Baphuon, and it is the embodiment of the Angkorian style that bears the same name. Built in the 11th century by Udayadityavarman II it was constructed to honor Shiva. Later the temple was rededicated to the Buddha and a large reclining Buddha was carved into the back of the temple wall although today the same can barely be discerned. The condition of this mountain temple is rather poor but the causeway leading to it is very impressive and I imagine it would have been even more so if the reflecting pool still held water as the temple would have been in the middle of a relatively large lake. Records of a visit during the 13th century by a Chinese diplomat notes the incredible wonder inspired by Baphuon and in 2011 renewed efforts began to piece together the history and original design of this site in order to restore it to its storied glory.